Emailed in by Adam Morrison from ExploreMusic.com, thanks Adam! Sometimes a great part of a song can do more than just sound good, it can be powerful because of the context. 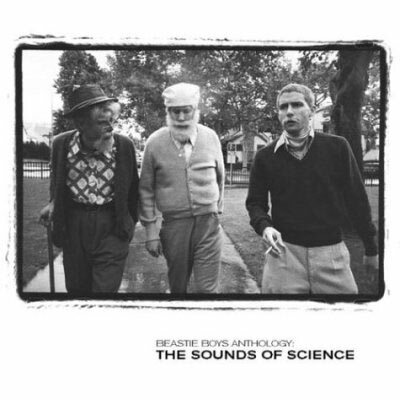 Such is the case with the scratched sample of KRS-One saying “Bring it back, that old New York rap” in “Alive,” the track the Beastie Boys recorded especially for their retrospective compilation The Sounds of Science. The line/sample points towards both the B-Boys influences and their own legacy, which are very apparent on the two-disc set, and hearing KRS in any context on a Beastie Boys track is monumental. From The Sounds of Science, released through Grand Royal Records in 1999. Adam, nice choice I love it!